Text messaging works in both directions - you can send an SMS to someone's phone or they can send a message to you. That applies to the TextPower system, too. When you send out an alert or important notification to a large group of mobile numbers - or even to an individual - you might want to be able to see the reply that they send back. This reply, or any message sent from a phone into the TextPower system, is referred to as a "mobile originated" or "MO" message. Our customers wanted a simple method of seeing these MOs so we've created one. Now we can forward any message that comes into our system to one or more email addresses that you specify. If you send out a blast message saying "Our office is closed on Monday due to the holiday" and someone replies back, "I've got an emergency - my power is out… who can I call?" that message can now be immediately forwarded to an email address - or multiple addresses - of your choosing. Why should we do this? What's the advantage of forwarding inbound text messages to an email address? Unstructured messages. These messages do not generate an automated response. These messages should be read and, if necessary, acted on through human intervention. A message such as “the lights still are not on at my house” or “I can’t report for jury duty tomorrow” will be received by the TextPower system and stored for action by the account holder. They can be accessed on the customer portal or via TextPower’s APIs. However, this may not be convenient for customer support personnel who may be assigned to responding to these matters. Checking "Optin Changes" in the "Setup Email Notifications for Known Cell Numbers" will forward MOs to the email specified address (multiple addresses can be entered if separated by a comma) whenever a number opts-in or opts-out of your service. Checking "All Known MOs" in the "Setup Email Notifications for Known Cell Numbers" will forward every MO which can be identified as one destined for your service, regardless of content, to a specified email address. Checking "Setup Email Notifications for UnKnown Cell Numbers" will forward only undecipherable messages, specifically those that do not contain the opt-in/opt-out keyword or other commands such as HELP, STOP, QUIT, CANCEL, OUT, OUTAGE or STATUS. This is particularly helpful when you want to be sure you receive messages that customers might send such as "There is no power in my barn." That message does not trigger any automated response but by receiving it at an email address you will be informed of the customer's problem and be able to respond to it. MOs from subscribers who are not signed up for your service - in other words, those that meet the "Unknown Cell Numbers" definition - may not be identifiable as destined for you because several utilities share these codes. You can partially correct for this inability to determine precisely which mobile numbers are intending to send messages meant for you by using the "Setup Email Notifications for UnKnown Cell Numbers" box and selecting the "Index Optins" button. 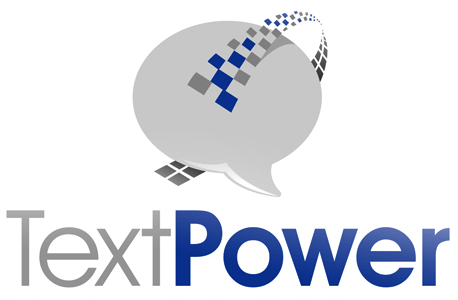 TextPower's system will attempt to guess which utility the number is assigned to based on the area code and prefix of the number; this will allow TextPower to make a pretty good guess as to which customer an undecipherable message was intended. Checking "All Known MOs" in the "Setup Email Notifications for Known Cell Numbers" will forward every MO which is sent to your TFN, regardless of content, to a specified email address. The cell phone number that sent the message. The full content of the text message sent. This is a great feature of the TextPower system. It provides an easy, simple way to know what your customers are saying in text messages without having to check any apps or web pages. Their messages come right to your email InBox and you can distribute them by just forwarding the emails.